Why is fruit good for your health? What’s good about bread (except for its wonderful taste, smell and our very habit of eating it on a regular basis)? Seeing that his patients had been having problems with the transition from the restrictive dieting to their normal life, Dr Dukan decided that his method needed a buffer phase. That is how the Consolidation Phase concept was created. 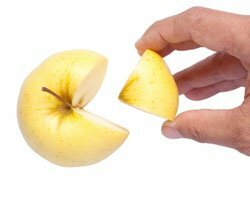 The purpose of the Consolidation Phase is to help dieters moving from the weight loss period to their normal life without causing a shock that, as it appears, often results in regaining weight and turns the whole effort into a failure. After analyzing thousands of cases, Dukan calculated the optimal time one should stay in the Consolidation Phase in order to keep off the unwanted pounds for good. Dukan compared patients that were able to stabilize their weight with those who suffered the yo-yo effect and determined that a dieter should stay for 4.5 days in the consolidation Phase for every pound he or she lost during the first two Phases of the Dukan Diet. This calculation has proven to be accurate and easy to perform. 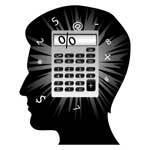 It's easy to calculate your Phase III duration. Multiply every pound by 4.5 days. 33 lbs * 4.5 days = 148.5 days = 21 weeks and so on. If you use kg instead of lbs, then make an assumption that every 1 kg is 10 days. That’s even easier to count. Important! The Phase III’s reintroduction of once forbidden foods must not serve as a reward for successful weight loss. The main reason to follow the consolidation Phase is to create a buffer zone that helps avoiding the occurrence of the destructive yo-yo effect. It’s about sticking to the ideal weight and not to regain your lost pounds. Note that during the first two phases of the diet you have forced your body to lose excessive weight. This means that, now, while you are giving yourself an access to some more varied menu, your body will (very likely) seize this opportunity to put on weight again. It will limit its energy expenditure by slowing down the metabolic rate. It will try to build up a reserve by maximizing the amount of calories and other nutrients it pulls out of the digestion of your meals. To prevent this from happening all the new foods are being introduced gradually. That is what the consolidation Phase is for. Fruit (Serving size = 1 big fruit = 200 g / 7 oz; 1 serving per day). All kinds of fruit are accepted except avocados, bananas, grapes and cherries (these are known for their high sugar / fat contents, so for now they are out of the menu). Fruit adds variety to the previous menu as it is rich in some essential nutrients including fibers, anti-oxidants, vitamins and minerals. Fruit consists mostly of water (just like human body does), it is cholesterol free, it is digested in minutes (as opposed to meat that takes even 10 hours and more to digest). A good rule of a thumb is to eat fruit before the main meal (like 20-30 minutes before) so that it will not interfere with the digestion of the protein. Not doing so may cause some bloats. There’s a nice printable poster on “Nutrition Facts for Raw Fruits” by U.S. Food and Drug Administration (click on the title to download). Cheese (Serving size = 40 g / 1.5 oz = 2 slices; 1 serving per day). Cheese was not allowed during the previous phases mainly because of high fats contents. Now it’s being reintroduced as it is a very nourishing product. A high concentration of quality proteins, calcium, phosphorus, zinc, vitamin A, riboflavin and vitamin B12. By all those powers combined you get numerous health benefits from eating cheese: cavity protection, cancer prevention, bone strength, osteoporosis prevention. There are also some downsides: cheese usually contains lots of sodium and cholesterol both of which are considered harmful in people with high blood pressure. Besides, containing a lot of natural saturated fats cheese can cause sudden weight gain. Don’t worry though, 2 slices of cheese a day won’t make you fat but you will still benefit from eating it. 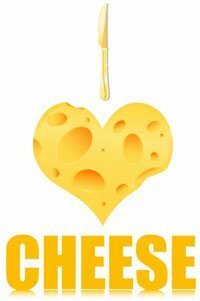 If you wonder what kinds of cheese is the best for you (in a nutritional way) there’s a nice table showing the nutrition facts for various types of cheese here: Nutrition Comparison of Cheeses. 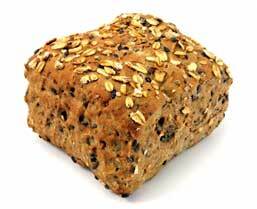 Wholegrain Bread (Serving size = 2 slices = 56 g / 2 oz = 2 slices; 1 serving per day). Yahoo! You can eat bread. But note that what we allow here is wholegrain bread. It can be whole-wheat or whole-anything but no white bread or rolls. Wholemeal bread is a good source of dietry fiber, manganese and selenium. 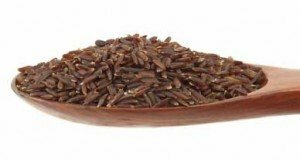 It has a decent amounts of many vitamins and microelements. Besides it is easy to store and carry and it is a key element of sandwiches. The bad about bread is that it usually contains a lot of sodium, trans fats and, especially when commercially prepared, preservatives (read labels! Avoid buying such products). As far as the Dukan Diet is concerned it doesn’t matter. But for those who care, I did some research and while the opinions are split, it seems like toasted bread’s calorie count is a bit lower than in fresh bread. To my understanding, difference is of no great significance. Of the toast's dominance over the fresh bread :). 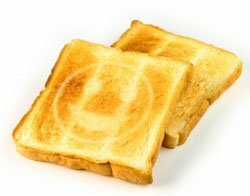 During the toasting process, the magic toaster fairy comes and sprinkles “magic toast dust” on toasting bread, surreptitiously whisking away 1/1000th of a calorie in the form of burnt toast crumbs. Voila! The toasted bread is lower calorie (not to mention (a) warmer; and (b) crispier) than its normal, untoasted bread counterpart. Actually, for those people who are really carb-conscious, there is some evidence that the toasting process alters the carbohydrate structure of the bread, causing a miniscule alteration on the glycemic index. Is it significant? Nopers. Personally, I like the magic toast fairy theory much better. You can read the whole discussion on here: “Toasted vs Fresh”. Don’t forget to get back here and leave your opinion on this silly matter of life & death in the comment section below. Starchy Foods (Serving size = 280 g / 10 oz; 2 servings per week). Choose whole-grain if possible. In a healthy balanced diet, starchy foods should make up about a third of the food you eat. For now though, as we have just lost some weight, we introduce starch-rich products still in limited quantities only. The most common starchy foods are: potatoes, bread (we’ve covered it already in pt. 4 above, so I won’t analyze bread here), cereals (but not oat bran as you may already know), rice, pasta, groat, kasha, corn etc. Starchy foods contain starch (the most common carbohydrate in our diet) and they are a good source of energy and a range of essential nutrients like fiber, calcium, iron and B vitamins. Some say that starch is fattening, but it is only half-true. Unless you combine them with large amounts of salt and fats, they are as fattening as any other complex carbohydrates, and probably even less fattening than simple carbs like fruit’s glucose or fructose. One of the most interesting food in our ‘Starchy’ category is potatoe. Nutrition Data: Potatoes, Boiled, Cooked in Skin, with Salt. 2/3 of the initial Vitamin C amount has been preserved. Boiling in skin is the healthiest way to prepare potaoes. Potatoes are a good source of dietary fiber (2 g of fiber per 100 g), B vitamins and potassium. Surprisingly potatoes are a great source of Vitamin C (33% of the recommended daily value of vitamin C per 100 g). Unfortunately, vitamin C is sensitive to heat processing, so after you cook, bake or fry your potatoes there’s only 1/3 of it left. On the other hand, people tend to eat pretty large portions of potatoes per serving. If you want to preserve as much nutrients as possible heat process them in skin. Here’s some comparison of the nutrition data of three different forms of potatoes, namely: boiled potatoes (with salt, without skin), potatoes cooked in skin and French fries. Nutrition Data: Potatoes, Boiled, Cooked without Skin, with Salt. 1/3 of the Vitamin C has been preserved. 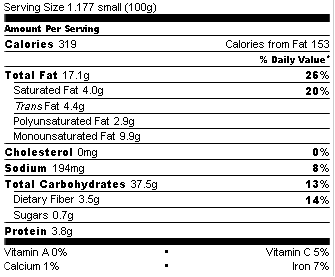 Nutrition Data: French Fries. Only 1/6 of the Vitamin C has left. Sumptuous meals or Free meals (as in ‘guilt-free’) (Serving size = 2 full, non-consecutive meals with dessert and / or a glass of wine per week). Protein-only day. One day per week (preferably Thursday) is a protein-only day during which your menu is limited to Phase I food list. I am not sure if anyone monitors this any longer, but I am going to give it a shot. I am about to start consolidation phase and I see it states 2 slices of bread daily, but due to gluten intolerance, can I have a 1/2 cup of quinoa or gluten free bread in place of the wholemeal bread? If not, what can I have in place of that? I have found that I feel better by adding small amounts of healthy fat into my diet. I think it works well for my personal diet. I know that Dr. Dukan’s diet does not allow for things like avocado and coconut oil. Since I plan on eating them again eventually do you think it would be best to slowly introduce them in during the cruise phase? Or should I wait until I am done with the cruise phase? Another question, I am gluten and dairy intolerant and I don’t eat lamb or ham. This eliminates almost half of the consolidation phase foods, what should I do? I live in a dorm and they don’t serve whole grain bread there. Can I eat another serving of oat bran instead of the 2 slices of bread in the consolidation phase? have all told me that the best ingredients, cooked simply yield the best results. a sliver of red pimento for a tongue. Can we eat in consolidation phase nuts? I’m having trouble finding a list of veggies to include my Phase 11Cruise meal planning. I k ow you said no avocados or bananas but is there a list of veggies? Hey what do you think of this chocolate? Which phases could it be consumed in? Its called Pacari Ecuadorian 100 cocao raw chocolate. Also i found the following 2 breads and i was wondering if they both would be suitable for the consolidation phase. If so which one out of the 3 (Dr. Pape evening bread, brown bread bun, wholemeal bread bun) would be the best choice and which one would be the worst? Dr. Pape High protein low Carb evening bread. Is this ideal for the bread in consolidation phase? Also could this be given in small amounts to very young or very old individuals doing the cruise phase of the dukan? Looks very promising. I thinks it’s great for the consolidation phase. I guess you could use it in limited amounts during the cruise phase. I can not guarantee anything here though :). just one Q, Is olives oil and butter are allowed in phase lll?? No, but you can include them in your guilt-free meals. Sorry, it seems that some of my questions are already answered in the page. I should have read it more carefully. I would hate to waste your time. Could you please also clarify the following for me? – Is it dessert or wine or can we have both? – If having a celebration meal (all at once starter, main course, dessert and wine) are we supposed to limit ourselves to one serving of each or can we have as much as we like? – Since lamb and pork are allowed once a week in consolidation could I have a handful of nuts instead? – Do the 2 slices is bread have to be whole grain? Can they be wholemeal or just brown bread? Also is there a measurement in grams instead of slices? – Are dates allowed as fruit during consolidation? – What exactly is a serving of fruit? Is there a certain measurement? How many strawberries could I have? Blueberries? raspberries? Or how much should my apple/kiwi/peach weigh? would I be allowed to have some zaatar in the cruise phase? Yes, but in moderation, as condiment only. The most worrying ingredient here is sesame. I’ve gotten myself into a routine of eating very small meals every 2 hours. I usually have 8-9 mini meals every day. 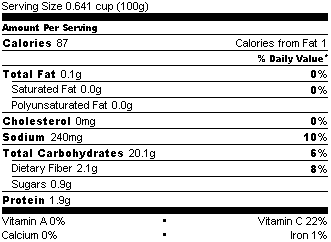 To define a small meal it’s usually 1 container skimmed yogurt (170g) with 1 tablespoon oatbran or 1 small chicken breast. I plan to continue with this routine when I begin the consolidation phase but I think it would be impossible for me to have my starter, main course, dessert and wine all the same time. So in my case could I have them all separately? Maybe a pancake in the morning, a pizza slice (max 2) at 4pm and a serving of ice cream in the evening and a glass of wine. Also could the glass of wine be replaced with a glass of OJ? OJ = orange juice, I presume. I guess you can. Do not go crazy with it though. One free meal should be one free meal, but if you really can do your mini-meals routine, and you are sure you won’t break it, you can split your free meal into several mini-meals. Control your weight though, and get back to one-time free-meals if you notice unwanted weight gaining. Hey I’m not sure if you remember but I’ve almost reached my goal weight and will hopefully be starting consolidation soon (in about a month) and i’m so excited!!! I just can’t wait to be allowed to eat fruits everyday!! My question is, can I split the celebration meal in any way? I can for example have the starter on monday, the main course on tuesday and the dessert on Friday? If thats a bit much can I atleast speard it out through the day? Like starter for breakfast, main course for lunch and dessert with my dinner? Also in the second half of the 3rd phase when we are allowed 2 celebration meals a week it says that you should have at least a day btwn them. Does this also apply for the starchy food? As in can I have my serving of starch in the morning and my celebration meal for lunch on the same day? Thanks for your quick reply, I’m on my first day today and can’t wait to see the results tomorrow morning on the scale :) however I have a question, due to my tight schedule I might go over 4 hours between meal times is it okay if for example I switch my lunch to pure protein powder/shake? Yeah, I think you can try this. Be sure the shake is not packed with carbs though. Some of them are. Choose only low0crba, protein rich shakes..
another question sorry.. :/ ! My mother’s friend claimed to have been on this diet before but the moment she stopped it she gained all the weight back again and even more than she started. How can I prevent this from happening to me? How to prevent that? Do not get back to your previous bad eating habits. I am pretty sure that carrying out the diet through all its stages no will prevent any yo-yo effect. Hello, I am starting the Dukan Diet tomorrow, however i have such a long history with extreme diets even one under 500 calories a day and it did work. However I gave up dieting for a month now and i gained all of the weight back again from 53.0 kg to 59.7 kg. I have some concerns that I hope you can clarify, if I do start the diet and loose the required amount of weight during the second phase, is it okay to quit the diet and resume my previous diet plan (which worked) to consolidate my weight. Because honestly speaking 100 days for consolidation sounds daunting! How come did this 500 kcal diet work? You’re back at 59.7, aren’t you? Dukan diet is not a fad or extreme diet. Remember that you won’t feel hungry on this diet, why does this 100 days scare you that much? It’s really easygoing. The consolidation phase is pretty close to regular, healthy eating. You can even grab a glass of wine every now and then. As to your question, I don’t understand, what previous diet you want to employ to consolidate? The 500 kcal diet??? Consolidation is not about losing anymore weight nor it is about starving (the first two phases are; but you kinda starve without feeling weak or hungry). Just include some more starchy foods in your menu. Let’s say, eat a portion of potatoes or wholegrain rice once a day, excluding the protein day. Everyday? And what about protein day? Shall i continue with that, or leave it for a week or two? I don’t want to gain too much, and I am scared of tipping it too much too gaining weight again :-( I am so confused right now? Can you please just tell me what to do, step by step or something? Heya My name is Lysanne (yolandes daughter). I’m not sure whether I left my comment so I’ll do it again. I’m still losing weight after 82 days in consolidation and it’s starting to worry me. I’m confused since, on here it says that your allowed a starchy meal a day + 2 pieces of bread. but in the dukan book it says 2 starchy meals a week? And here it says you can have potato as a starchy meal while in the book it says you cant? I’m so confused right now :-( help me out please? I want to stop loosing weight and even gain a little bit! The was a mistake in my post. Already corrected. It’s 2 meals per week. But, strangely enough, in your case I’d recommend eating potatoes, wholegrain rice and such more ofter. Maybe even every day. It’s the key to switching off the diet mode (carbs). Hey I am lysanne (yolandes daughter). I don’t really understand, according to the book that I’ve got, your allowed to starchy meals a week + two pieces of bread a day? And here it says: one starchy meal a day?? I’m still loosing weight and it’s starting to really worry me. I do exercise loads and my mind is still really in “diet”mode. Im just really confused. I’m sorry, something went wrong before I finished the question. Losing another 10 kg would be too much! She feels fit now, and doesn’t look anorectic. What to do if the weight loss doesn’t stop? As promised the exact data. My daughter started phase I on Wednesday 24/08/2011; her weight was 88.6 kg; length 1.85 m (sorry for the metric measures, but I understand you can deal with them). She aimed for 70 kg in the end. After 5 days phase I she started phase II on the 29th of august; weight: 84,3 kg. She started phase III on the 19th of December; weight: 70.8 kg. Today, day 72 of phase III she weighs 64.5 kg; so she lost in total 24.1 kg. in 27 weeks. This means an average of 0,9 kg. per week. During phase III though, she keeps losing weight (i.e.6,3 kg. since 19/12 in 10 weeks, an average of 0,63 kg. per week). If this weight loss in phase III continues (0,63 kg. per week), she might lose roughly another 10 kg. before she gets to phase IV!!! What should she do; so far she sticks to the diet schedule. She used to drink a lot of green tea (as metabolism boost), I told her to stop that. And they don’t look anorectic to me. Actually, they look pretty fit. Does your daughter look and feel fit? You know, the scale is not always the best measure of progress or fitness. 1. Your daughter should see a doctor and have a checkup. Maybe she’s all right, just so slim and slender :). 2. Abide by the diet rules. Do not overdo nor belittle anything. When it says that in Phase III you can have two sumptuous meals a week, have them. Do not hesitate to introduce all of the phase III foods into your menu. 3. Phase III is the time you can start having whatever you want (2 times a week). If you crave sth, just take it. Listen to your body. Green tea is ok :). But of course pure water is (slightly) better. During phase III, she keeps losing weight (i.e.6,3 kg. since 19/12 in 10 weeks, an average of 0,63 kg. per week). My daughter started phase III just before X-mas 2011. She had lost about 19 kg (as intended). She gradually started adding fruits and starchy stuff according to the diet schedule. The “problem” is that she keeps losing weight and it starts to worry us. Since starting phase III she lost another 5,5 kg. This cannot go on untill the end of this phase, i.e. 17 more weeks! So, according to what you say, your daughter lost 24+ kg in just 9 or 10 weeks (= 2.5 kg a week = 5.5 lbs a week = 0.8 lbs a day! almost a pound a day, every day for 10 weeks!!!)? I never heard of anyone doing such a ‘progress’ on dukan diet (or any other non-extreme diet to be exact). In my opinion, it’s not the diet program. At least, not this one. This might be sth else. I would recommend getting a professional medical advice. And you should talk to your daughter too… She might have done sth bad to herself (I hope that I am wrong). Thank you for your quick response. I hope you’re wrong too. May I come back to you with exact data? means lots of physical exercise as in dance training at least 4 hours a day. maybe a bit too much all in all. I would value your advice. Sure, feel free to post anytime. I don’t think exercising is a problem unless it’s sth really exhaustive. If the latter is true, then a bolder introduction of whole grain products (bread, past and so on) into phase III should bring some balance. But those are just assumptions. Need more data. I am in the attack phase for four day and I’m really scared to gain them all back one I’ll be in the consolidation phase . I didn’t really loose alot of weight maybe 1 kilo is it ok? Thank you . It is a lot! 1kg in 4 days, it’s a very good result. Don’t worry about consolidation phase, there’s still a cruise phase before that.